Activist Teacher: Is the burning of fossil fuel a significant planetary activity? The sun’s rate of raw energy delivery to the planet is, in turn, much greater (more than one thousand times greater) than the energy captured by GPP because most of the sun’s light energy is not used for photosynthesis but instead is either sent directly back out into space or produces fluid convection, wind, rain, water currents, erosion, etc., and because photosynthesis itself, even for the light directly striking a plant’s photoactive surface, is highly inefficient (less than 2% of incident light energy is converted to biomass chemical bond energy). So, on the global scale of things fossil fuel burning energy release is miniscule (8% of 0.07% = 0.006%). The corporate-finance-military-empire interest in fossil fuel is that it is concentrated, extractable and compositionally homogeneous enough to be amenable to industrial processing, that its demand can be created and its supply controlled, and that new and existing alternative transportation technologies or strategies can be sabotaged and are not presently competitive on the geopolitical military battlefront (although hydrogen-based fuels are presently used for rocket propulsion). The total pool of fossil fuel carbon itself, which has been burned to date (2010), is not large compared to organic and non-mineral carbon on the planet. It is 3.7 x 10^14 kg-C.
By comparison, the present total mass of CO2 as carbon in the atmosphere is 8.6 x 10^14 kg-C where CO2 is a trace gas with present concentration 390 ppmv (parts per million by volume) and where the atmosphere is the smallest global reservoir of carbon on the planet. Even as Earth’s atmosphere goes the present concentration of CO2 is historically low compared to biomass highly productive periods during which CO2 concentrations where as high as 20 times the present level. Past bio-productive periods are part of the reason we have fossil fuels today. The present low concentration of CO2 is growth limiting for plants under conditions where other essential nutrients do not first limit growth. Indeed, experiments have shown that today’s plants grow up to 50% faster than under present conditions when the CO2 concentration of the ambient atmosphere is 1000 ppmv, all other factors remaining the same and non-growth limiting. Beyond the atmospheric carbon reservoir, the present planetary biomass alone (1 x 10^15 kg-C) is approximately three times the amount of total post-industrialization fossil fuel burned to date where even this biomass carbon is only carbon in living organisms. In addition there is at least 10 times more carbon contained in non-living organic matter than in biomass – in organic detritus, soils, bogs, natural waters, lake sediments, marine sediments, and so on. For example, from my own research, the boreal forest (the largest ecosystem on Earth) contains millions of lakes that have not even been counted. These virtually unstudied lakes have accumulated organic-rich bottom sediments (preserved by anoxia) that have not yet been included in global carbon accounting studies. Furthermore, there is approximately fifty times more dissolved carbon in ocean water than contained as CO2 in the atmosphere. These bio-available carbon pools (biomass, organic matter, atmosphere, ocean water) do not include geological stores and sources from volcanoes and active geothermal sites. Volcanic activity, in particular, is unpredictable and has been highly variable in intensity since life burst onto the planet (billions of year ago), with often dramatic impacts on global ecology. In summary, the total amount of post-industrial fossil fuel burned to date (and expressed as kilograms of carbon) represents less than 1% of the global bio-available carbon pools. More importantly, bio-available carbon is a minor constituent of the Earth’s surface environment and one that is readily buffered and exchanged between compartments without significant consequences to the diversity and quantity of life on the planet. The known history of life on Earth (over the last billions of years) is unambiguous on this point. Left progressive First-World elitist and disconnected policy consumers and service intellectuals need to recalibrate their sense of self-importance and correct the blindness that this sense produces. WHERE IS THE FOSSIL CARBON GOING? (Falsely) assuming direct input and no other inputs or outputs, the total post-industrial fossil fuel burning to date (2010) should have produced a post-industrial increase in atmospheric CO2 concentration from 275 ppmv (parts per million by volume) to 500 ppmv or so. Instead, the measured increase to 390 ppmv is half the “expected” amount. Likewise, on the dynamic time scale of one year, the present (2010) rate of fossil fuel burning CO2 release to the atmosphere (4.0 ppmv/y) is twice the present measured rate of increase of actual atmospheric CO2 concentration (2.1 ppmv/y). A factor of two (in both the amount and the annual rate) is not nothing. This factor of two is in fact an underestimate because the post-industrial deforestation would also have contributed CO2 to the atmosphere. Where is the anthropogenic CO2 going? It is too great an amount to have gone into biomass but it could have spurred plant and phytoplankton growth and gone into organic matter? It is generally believed to have been quickly dissolved into the ocean water. This has in turn led to tenuous proposals (and an associated research industry) that the mean ocean water has been acidified by 0.1 pH units and that this postulated acidification alone may cause ecological change putting certain shell-forming organisms at risk. To date there has been no direct experimental validation of a change in ocean pH, nor has there been a conclusive demonstration that ecological damage arises from increased ocean acidity. More importantly, scientists know virtually nothing about the dynamic carbon exchange fluxes that occur on all the relevant time and lengths scales to say anything definitive about how atmospheric CO2 arises and is exchanged in interaction with the planet’s ecological systems. We are barely at the point of being able to ask intelligent questions. As with most areas of science and medicine, however, despite our gargantuan ignorance we are unfortunately able to sound knowledgeable and able to write impressive grant proposals and governmental reports. It’s a dangerous place to be for society when you have a demonstrated bad habit of serving powerful economic interests. Common sense and independent thinking are going to have to prevail if we do not want to continue with this circus. WILL WE SURVIVE GLOBAL WARMING AND CLIMATE CHAOS? The present foray about carbon is of course motivated by the ongoing debate between “warmists” and “deniers”. What use to be called “global warming” is now dubbed “climate change”. The climate modeller crew went from proposing out of thin air (otherwise known as the amplification hypothesis) that an anthropogenic increase in trace gas and essential nutrient CO2 would cause global warming to proposing that it would cause an increase in extreme weather events and in abnormally large regional climate changes. The change in name appeared at about the time when many statisticians were pointing out in published papers that the global mean temperature was an ill-defined quantity. That’s technical language for “has not and cannot be reliably determined”. That pretty much put an end to all the nice temperature graphs. (1) There is no justification beyond conjecture for the “amplification hypothesis”. (2) The models are vast oversimplifications of reality and the model predictions are sensitive both to the values of ill-constrained (not known) needed parameters and to changes that would make the models more realistic. (4) Historic climatologists and climate statisticians who have published on the topic have concluded that recent weather and regional climate changes are not out of statistical norms. The astounding recent exposure (known as climategate ) of wholesale corruption in the climate modelling and climate data massage scientific establishment only muzzled the warmist corporate media frenzy (as part of the cover up) but did not stop the mega-financier-driven push towards creating the largest ever paper economy anchored in “cap and trade” and “carbon credits” , nor did it dampen the enthusiasm and conviction of the associated gravy train NOGs and special-sector public-opinion-dependent green associations, groups, and political parties. This would be the largest financial scam in history (barring only the fractional reserve private banking money monopoly), taxing life itself and non-First-World industrial development under a militarily backed extortion regime of global extent. The powerful have eyed the prize and are not about to let go without a sustained run for the money and for global control of aspiring economic competitors. First World left progressives, with their pathological avoidance of conflict , would help usher in this scheme as a way to convince themselves that they are buffering corporate exploitation and destructive resource extraction, while continuing to not directly or effectively confront corporations and the governments that work for corporations. Whereas humankind has relatively little impact on the quantity and diversity of life in the biosphere, humankind is the main determinant factor in the welfare and health of humans and human communities. The health and welfare of human communities in turn are the main factors that determine the extent to which humans destroy the environment. There is no lack of examples. Brutal colonial rule and occupation transformed Africa into a continent of unsustainable practices and a war zone of resource extraction for powerful global players and collaborating local elites, at the expense of war-torn populations. American militarily backed corporate occupations in Latin America have devastated the landscapes and the peoples. The mass insane agri-food corporate enterprise in North America is based on a most efficient genocide of the aboriginal peoples, the survivors of which are in prisons and on controlled reserves. And so on. “Global warming: Truth or dare?” by Denis G. Rancourt, 2007. “The corporate climate coup” by David F. Noble, 2007, 2010. For an essay about the power of public opinion and image maintenance vulnerability see “Psycho-biological basis for image leverage and the case of Israel” by Denis G. Rancourt, 2010. “Voter psychology and the bloodless revolution to end bloodshed” by Denis G. Rancourt, 2010. I ask my scientist colleagues to "peer review" this essay and post any critiques here. You state "We like to point out ... that we have deforested continents and reduced the populations of large wild mammals and of fishes but is all this really significant in the planetary web known as the biosphere?" is this significant? is nuclear waste significant? is the huge islands of plastic in the middle of the oceans significant? is the destruction associated with the tar sands significant? you then state in your conclusion: "... humankind has relatively little impact on the quantity and diversity of life in the biosphere"
How can we possibly know that humans affect or threaten the Earth as an ecosystem??? Doesn't the fact that 70% of the world is covered with ocean and 99% of it is unexplored ring alarm bells that we don't know what is really going on for an open system that is our planet? Watch especially the deep ocean part of the "Blue Planet" series from BBC (the counterpart to the "Planet Earth" series). The fact that organisms can exist under extreme temperature, extreme pressure, and absolutely no penetration of sunlight at huge depths, i.e., literally disconnected from what happens at the surface is suggestive that humans are not a threat to the planet. If we are a threat, we are a threat to ourselves. We might not be able to breathe carbon dioxide to survive, but plants thrive on carbon dioxide. Or what about the theory that destroyed the dinosaurs? When the massive meteor hit, it created a smoke cloud that covered the atmosphere for ~1 year in duration and preventing any light from penetrating the surface of the Earth, thereby eliminating life. Yet, the Earth rebounded and produced life. We're just going to exterminate ourselves and maybe a handful of species, but the Earth will continue just fine without us. Good overview Denis, thanks for standing up for the Truth. Although I agree with most of your message, I think that you have glossed over the fact that we have never tried to assimilate Native Americans as every other conquering nation has always done. We have created a population of dependent aliens who have different rules and laws and who have never been asked to join and grow with the country. The genocide of history is not going on today, as you indicate - today we have the crime of making them separate and neglecting them - even casinos cannot fix the problem. They can preserve their culture as much as they want, just like every other group which does, without being on protected reservations. These are not animals who have to be protected. It is not our role, or anybody's, to take any people and shelter them from progress. A native tribe in the deep Amazon might be justifiably horrified to find that they had been knowingly left behind by civilization to preserve their primitiveness. It is our hubris that assumes that they like the struggles, diseases, and suffering of primitive life. Would you like to be "saved" or preserved (from progress) as an example of a particular time in human development? It is our hubris that assumes that they like the struggles, diseases, and suffering of primitive life. It is our hubris that assumes that they would prefer the struggles, diseases, and suffering of modern life. I have an idea, let's start by giving them wheat in which to make bread. Bring them along slowly, so to speak. Is Chuck an example of the surgeon sufficiently reading Rousseau and Foucault prior to operating? So much for that theory. "Is Chuck an example of the surgeon sufficiently reading Rousseau and Foucault prior to operating? So much for that theory." Chuck can defend himself. But I would like to address your insinuation that Rousseau and Foucault (i.e., any politically-oriented material) are irrelevant readings for a surgeon. I think it is always better and desirable that people who engage in a vocation, especially "professional" ones, put as much energy and vigour into educating themselves politically as they do when training for a career. That would hopefully put into perspective for them their role in society when they engage with the rest of us via their career and partake of society. Does the lawyer stand up for those with no representation in society or for the strict letter of the law and privilege? Will the surgeon perform operations for free or refuse to even talk to someone in need of an operation because they do not have medical coverage? Morocco Bama, I hate to burst your bubble, but there are no maps and technical manuals to get to the orchard because the orchard does not exist. There is no poisonous fruit. There is no fruit. There is no journey. I'm all for independent thought and figuring things out for oneself. But what benefit are you to society by feeling good about yourself because you arrived at similar conclusions as Rousseau without having read him and now you think you've stumbled across some fundamental truth of the universe? There is only one truth that matters: oppressors vs oppressed. It's your choice: join the struggle against oppression, or meander around in search of some magical orchard with forbidden fruit to be partaken of for your own intellectual gratification. 5:28, what a sad world you've created for yourself when that's an either/or proposition for you. It's not either/or for me, both are attainable concomitantly. Dualism a lot, do you? It appears so. 2) Straw Man fallacy B ... the problem is the NET, not the GROSS. eg the water in a drowning victims lungs is miniscule compared to the total... water content of their body ... an irrelevant and idiotic fact. Hello. The deforestation and elimination of large continents commenced 40K years ago and ended about 8K years ago. This white man crying thing has gone on way too long. Despite our small contribution to GPP the alarmists still insist that we are a problem. They have to look again at their theory of greenhouse warming and GHG's. Their theory violates the laws of thermodynamics so cannot work. They insist that CO2 can 'store' heat which the 2nd law says is impossible. Even greenhouses do not get warm due to the GH theory of warming. "Dualism a lot, do you? It appears so." Either there's progress or there is no progress. I found people don't like dualism because in order for progress to occur they need to take risks, from which they are fearful. But if they don't take risks then they do not progress, and that makes them feel useless and not good inside. So, they invent some intermediary ground that makes them feel good inside without having to take risks. People in the third world do not [try to] throw off their oppressors because they found some magical orchard. They actually want to realize and live another truth: liberation. "getting back to the discussion at hand (ahem)..."
The global warming movement is a socio-economico-politico initiative. Scientific refutation alone is not enough. 1) Nowhere is my article do I state or imply or suggest that any planetary warming could be due to heat production on the planet. It is a basic and non-disputed law of physics that, barring internal redistribution and inhomogeneities, planet temperature is determined by (solar) radiation in versus radiation out. 2) What exactly are you referring to in my article? You appear to be suggesting that it is not useful or relevant to compare fossil fuel burning to GPP or to compare the magnitudes of different carbon pools. The first thing a scientist or interested person must do is to get a quantitative sense of scale (relative magnitude) in any natural phenomenon. Bio-available global carbon pools are the natural and relevant comparison points to judge relative magnitude. Without reference points it's all just rubbish thinking. 3) There are no measurements of solar irradiance into the relevant geological times that I was referring to, only the main sequence star theoretical models. The latter do not invalidate the relevant comparisons of present and past CO2 concentrations. Just because many other factors were different one billion years ago say, does not invalidate this comparisons because the main factors were the same (same planet, same biomass, diverse life, same slowly evolving sun, same large latitudinal variations in incident irradiance, etc.) Indeed, your critique presupposes the primacy of CO2 as a climate driver. 4) Nowhere in my article do I state, suggest or imply that ascribing motive is a valid way of debating facts. However, consideration of motive is central in differentiating "facts" from "spin" or "interpretation" or "extrapolation" or "conjecture". Even the so-called "data" is selected, filtered and massaged, etc. It's too bad that even my motives appear not to be clear to you. You can't produce justice and democracy using the same bought bad science that serves the financiers. And, yes, all destruction is bad. Since we both live in Ottawa, we can continue this off-line and in person if you like. You have made a broad leap with this assertion, specifically the lead bolded sentence. Your argument in this analysis centers on man's burning of fossil fuels and its resultant CO2 effect on the atmosphere. You then jump from that line of thought, which is, relatively speaking, rather specific, to the conclusion that "humankind has relatively little impact on the quantity and diversity of life in the biosphere." You can't get from your previous argument to the aforementioned conclusion. You haven't proven that case, in fact you haven't even argued it, you merely posited a conclusion only tangentially related to your original argument that is decidedly unsupported by the facts and reasoning you have heretofore provided. Therefore, that bolded statement is nothing more than a hypothesis, at best, and a conjectured opinion in the least. "You can't get from your previous argument to the aforementioned conclusion. You haven't proven that case, in fact you haven't even argued it, you merely posited a conclusion only tangentially related to your original argument that is decidedly unsupported by the facts and reasoning you have heretofore provided. Therefore, that bolded statement is nothing more than a hypothesis, at best, and a conjectured opinion in the least." Lets go to the orchard that has sprung up over Rousseau's grave and see if he agrees with Denis' conclusion. Denis, is it possible to add a "printer friendly" function to your posts? For those of us who would like a hard copy to review, highlight or ..., that would be helpful. Thanks. 1) Click the title of the desired post to show only that post and its comments. 2) Click anywhere on the body of the post text (to correctly locate the cursor). 3) Type Ctrl-A to select all text. 4) Type Ctrl-C to copy all selected text. 5) Paste into Word and take out the parts you don't like, then print from Word. This essay is a bit confused. The CO2 budget is known quite well, and the rise in CO2 is due mostly to fossil fuel burning. It doesn't really matter if the amount of CO2 is small relative to the atmosphere. It is the effect that counts, and the physics is good enough to calculate the basic minimum effect. 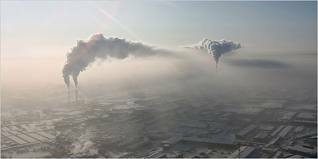 Since basic science tells us CO2 will have an effect, all the doubts you express about the size of any other side effects (feedbacks) should surely be a warning to us rather than a comfort, since we know the earth is prone to radical changes in its climate in response to relatively small changes in the amount and distribution of solar radiation. Roughly, observed warming is in line with predictions of the effect made decades ago. Is even the presence of humans significant on the rough and diverse thin surface of this planet? Of course humans are significant. Humans have stripped forests, polluted air, streams and rivers, transferred invasive species, and significantly increased carbon in the atmosphere. The impact is such that there is a mass extinction occurring. As climatologists don't claim this is the source of global warming, that is irrelvant. This one's just funny. Simple breathing is *carbon neutral*. That means any carbon emitted into the atmosphere by the simple breathing of animals came from carbon that was fixed by plants. As net carbon is what matters, this is irrelevant. What matters is atmospheric carbon. The entire mantle could be made of carbon, but it's irrelevant to global warming. We *know* that atmospheric carbon has increased and is continuing to increase significantly. To date there has been no direct experimental validation of a change in ocean pH, nor has there been a conclusive demonstration that ecological damage arises from increased ocean acidity. Byrne et al., Direct observations of basin-wide acidification of the North Pacific Ocean, Geophysical Research Letters 2010. See also NOAA's Pacific Marine Environmental Laboratory. Humans should be able to overcome the challenges of climate change, by limiting its worst effects, and by predicting the unavoidable changes in order to adapt. You never actually argued to a conclusion. Just about everyone knows that's false. The rest of the syllogism is a non sequitur. "Roughly, observed warming is in line with predictions of the effect made decades ago." Hansen's 3 projections GISS-A(88), GISS-B(88), GISS-C(88) which were made in 1988 (hence the (88) in the projection names)have not been met. 'A' was his highest prediction up until 2010 where 'B' slightly overtakes the predicted high. However both of these predictions are are approximately .75 deg C too high. The 'C' prediction is also about .25 deg C too high as well. So that is approximately 2 decades ago and we have yet to see any unprecedented warming. The warming from the LIA to now has been fairly regular in pattern and is not out of line with that of the MWP. So fear not. John Marshall: They insist that CO2 can 'store' heat which the 2nd law says is impossible. No. Rather, it's like a blanket. The temperature under the blanket increases. As the temperature increases, it causes an increase in radiative energy. The body then comes back into equilibrium, but at a higher temperature. Kevin: So that is approximately 2 decades ago and we have yet to see any unprecedented warming. Hansen's results show "that the true climate sensitivity parameter is within the range accepted by the IPCC." Actually, if hydrocarbons tend to poison our planet's thin surface, then humans are fulfilling an invaluable niche role, truly a miracle of evolution. Aside from that, I think it's likely we're not as important as we think we are, but there is probably a good reason for us to think so. It's hard for me to accept that humans are so far divorced from all other life on the planet, especially since we make up such a minuscule portion, that we alone have the capacity or the will to destroy the world. In South Africa it was called Apartheid. In Canada the "homelands" are called reservations. Same purpose, different name. Indian and Northern Affairs Canada has a budget of $ 7.3 billion. Lots of lawyers and tribal chiefs get rich, the average "Indian" pays the price. My understanding is that, in the UK, teachers are slowly but surely refusing to teach the AGW propaganda. towards conclusion: "Historic climatologists and climate statisticians who have published on the topic have concluded that recent weather and regional climate changes are not out of statistical norms." "The change in name [from global warming to climate change] appeared at about the time when many statisticians were pointing out in published papers that the global mean temperature was an ill-defined quantity. That’s technical language for “has not and cannot be reliably determined”. That pretty much put an end to all the nice temperature graphs." So what is the measure of "climate" that allows historic climatologists to make statistical comparisons if not temperature? I'm sorry to hear of your dust-ups with the Academy. I have had my own and much sooner in my career than you -- I could not even finish my Masters before angering the intelligensia. Science has become what it was created to defend against: religion. Gone is the curiosity and wonder of a truly open mind and, instead, we have the narcissistic prattle of the dogmatic. Pinker may have brought some good points to the table regarding violence and the effects of the Enlightenment, but I still think we need to transcend both Science and Religion as institutions if we are going to evolve as a species. I am not certain what that means, but I know it doesn't mean going backwards into full-fledged, unquestioning adoration of either institution. Check out Giddens' Structuration Theory. Fascinating stuff. As it cannot be measured, especially not historically, mean regional temperature is virtually never used as an evaluation of regional climate. At best, it is "inferred" to please opportunistic science authors. biomass including water or carbon mass equivalent of biomass/co2? not that I believe in global warming, just like it precision..